The only application that provides an end to end solution for Sales Profitability Management by combining Sales Planning & Forecasting, Incentive Compensation Management, Sales & Product Cost Allocations and What-if Analysis & Reporting. Work for Xactly Commission Expense Accounting? Learning about Xactly Commission Expense Accounting? "Misleads their Customers into Sales and Doesn't Care about Support or you after contract is signed"
I liked the ability to be able to configure the software without paying an implementation expense to have the company do so. 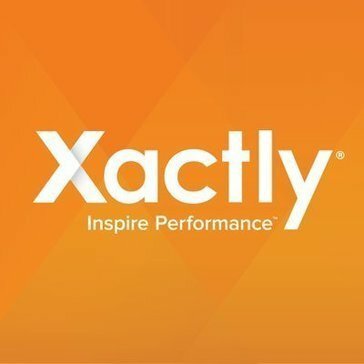 When we first started looking at Xactly we were working with an AE to evaluate the software. Through a short term evaluation, we were bounced around several timers and no one after the initial AE seemed to care about us as a prospect at all. We liked the software for the above reason and signed the contract only to find out that we were completely misled about the pricing structure. During multiple discussions we explained our intended use case and NEVER was it mentioned that what we were buying would be grossly insufficient to do that. When this came out we were shocked and confused and went back to our sales rep to have a conversation. We provided proof of previous dialogue that was clearly indicative of how we understood the licensing and functionality to work and that the sales rep never clarified that what we were buying wouldn't allow us to do that. When we provided the proof back to the company they pointed the finger back at us and said that if we wanted it to work like that we'd just have to invest 5x what we just agreed to. They didn't apologize for miscommunication or offer any attempt at resolution. They didn't even appear to be concerned with out misled we felt. Instead, the rep cc'd his manager and signed off with a phony "we're 100% committed to supporting you" tagline and called it a day. Don't trust them at all. Were attempting to solve manual commission calculations to prepare for scale and add visibility to current sales/commissionable persons. What we realized is that we did not purchase a solution that will allow us to do that despite multiple discussions and weeks spent on a trial of our exact use case with frequent communication with multiple persons on the Xactly side. "Terrible services team and system does not do what they demo and sell to you. " Based on the DEMO we received, I liked its dashboard, its intuitive process and workflow. Unfortunately, we're a year and a half into the implementation, 4 consultants later (due to turnover on their end) and we're still without a system to use. An important note to this is that the things we saw in the demo are either not possible or would cost extra if we want them. Their professional services team is a revolving door, leaving you to change consultants every other month, which results in lack of understanding of where things are and unable to finish the project. We're a year and a half in and implementation is still ongoing with less than 1/2 of the things completed. The system you see in the demo is completely different from what you actually get. No real approval workflows, no real reporting functionality (unless you pay a lot more for custom), system is clunky with unexplainable issues occurring every other day. System can't do split sales, which I can't imagine to be that uncommon in the sales commissions world. I'd say to stay far away from this system. Otherwise, I would say to make sure you review and confirm in detail (and in writing) that the features you're looking for are truly available with no additional costs. Set your expectations of the services group in the beginning and stay on top of all the outstanding items or issues you're seeing. It is supposed to reduce the manual work and spreadsheets on our side and make things more technology advanced. "Very user friendly and great customer support"
OberoSPM have Increased sales effectiveness through incentive compensation with sales strategy. Increase in ncreased sales productivity and also cloud deployment make it very easy to access. It have helped our business in traing employees to improve their sales skills, methods and results.It also increase and analyse profitability across all segments. OberoSPM is a great product but they do not offer phone support for free users. OberoSPM is suitable for sales performance management. It makes planning, execution and optimization processes simple and easy. OberoSPM is important in sales management for our partnership ecommerce business. It have enabled us increase sales and profitability of our business. "Great product, could be improved"
Great user interface, fast performance and not clunky. Very streamlined. There are color coded pie charts and bar graphs that can be assigned per rep. It's really useful for managing multiple orders and accounts. You could say it's Xactly what I was looking for. Could have a couple more features but all in all not bad. For example, Salesforce is much more customizable. The colors and codes can be customized to your liking. Would be great if Xactly had this but maybe in the future. We used it to enter and track orders and it also could be used to continuously monitor sales cycles. "Hard to work backwards and break down your commissions..."
I like that is it updated in real-time but it is very confusing to read. No laid our clearly and hard to get to understand how your commissions are calculated. Not a lot for me personally as I don't find the tool all that useful. Maybe if someone from my SalesOps Team walked me through each commission statement. * We monitor all Xactly Commission Expense Accounting reviews to prevent fraudulent reviews and keep review quality high. We do not post reviews by company employees or direct competitors. Validated reviews require the user to submit a screenshot of the product containing their user ID, in order to verify a user is an actual user of the product. Hi there! Are you looking to implement a solution like Xactly Commission Expense Accounting?